Preorder a Farm-to-Table Meal from Gourmet Galaxy (select with ticket purchase). Chicken Piccata Dinner, Orzo Pilaf, Kai-Kai Garden Veggies, and a choice of soup or Kai-Kai salad. This meal upgrade does not include an entry ticket which is purchased separately. Shrimp and Grits Dinner with Orzo Pilaf, Kai-Kai Garden veggies, and a choice of soup or Kai-Kai salad. This meal upgrade does not include an entry ticket which is purchased separately. 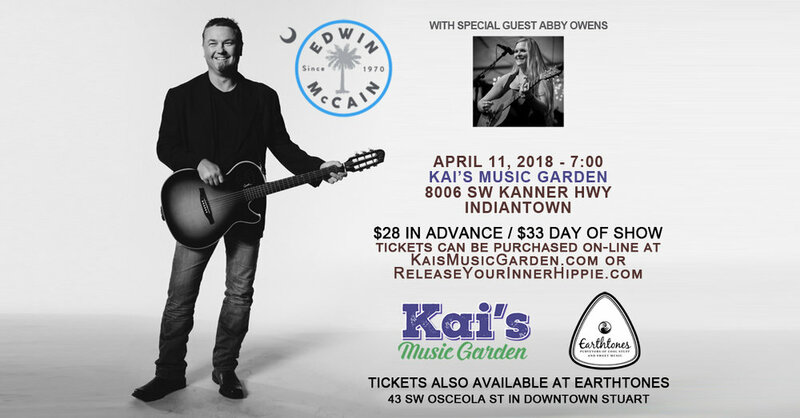 is an extremely talented singer songwriter from Indiantown. Her cool, classic acoustic repertoire will have you spellbound. Abby is a breathe of fresh air. It's Almost like the wind picks up and the birds begin to sing when she performs. She's that good!